Microsoft is releasing its next version of popular Office productivity suite on Windows desktop, Office 2016, to general public as consumer preview, which was available as free download on May 4, 2015, in conjunction with Ignite conference in Chicago. The Office 2016 for Windows desktop is not to be confused with universal touch Office apps that are going to available in Windows 10 through Windows Store. Since March 2015, Microsoft has released Office 2016 Preview for Home and Business through Connect, but which required a valid and working Office 365 subscription license with desktop apps to install. The publicly available Office 2016 Preview program is available for both subscribers and non-subscribers of Office 365 plans with desktop apps. For non-subscribers, Microsoft provides a free product key that can be used to activate Office 2016 Preview as standalone suite product, thus you can try out Office 2016 even if you don’t have Office 365 subscription. Once activated, the full featured Office 2016 Preview is available for free usage until you uninstall the Office 2016 Preview or until Office 2016 is released. Office 2016 Preview supports PCs or Windows tablets running Windows 7, Windows 8, Windows 8.1, Windows 10 or higher. Officially, Microsoft does not support two versions of Office (i.e. Office 2013 and Office 2016) running side-by-side, but if you installed previous version of Office via standalone setup installer or ISO image, it’s possible to run most of the apps of two Office versions side-by-side, except Outlook. To download and install Office 2016 Preview for people who don’t have any Office 365 subscriptions, or with Office 365 subscriptions that do not come with Office desktop apps (ProPlus plan), head to http://office.com/office-2016-preview. Go to the Office My Account page. Click Language and install options. Open the Version drop-down menu and select the 32-bit or 64-bit Office 2016 Preview. Go to Service settings > Updates. Choose Entire organization or Select people (then pick the users which you want them to access newer version of Office) to enable the First Release. Sign in to the My Software page. Go to Try the next version of Office. Office 2016 family will see new apps in Sway and Office Lens. Sway, a presentation app, which will be added to Office 365 Education and Business plan subscribers later this month. 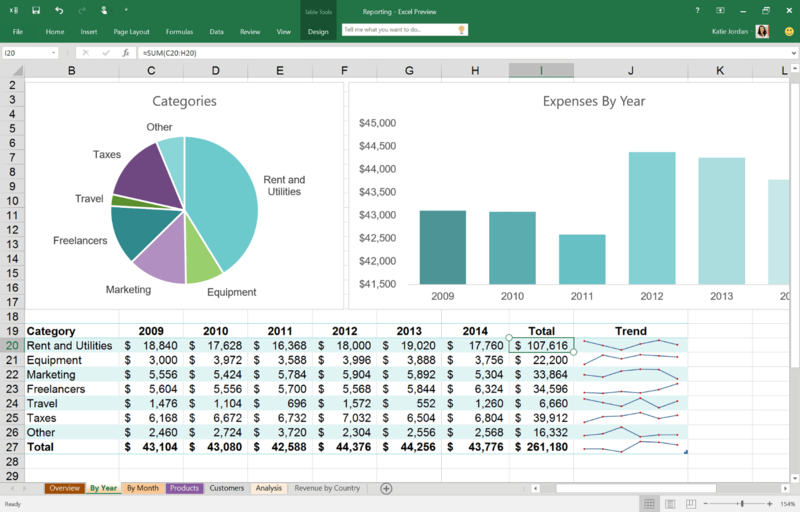 Office 2016 is scheduled to be RTM and released in the fall of 2015. Update: Office 2016 is officially released.